If you are 70 ½ or older and have an IRA, you are likely familiar with the IRA Required Minimum Distribution (RMD) you have to take in 2018. The RMD means the IRS requires you to take a certain amount from your IRA every year and pay income tax on that withdrawal. But did you know that you that you can roll that RMD directly to your parish and pay no taxes on the transfer, and your gift from the RMD comes directly your parish to support its spiritual mission? 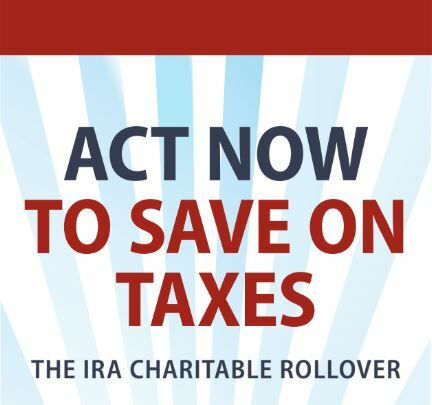 To benefit this year, your IRA rollover gift needs to be made before December 31. It is important to first of all contact your IRA administrator or Mary Quinlin at (641) 648-9547, for more information on how to make the IRA rollover work for you. There is a specific process and forms that need to be used, and they can help you through those simple steps. Click here for more information from the Archdiocese of Dubuque, but plan to roll over your contribution to the parish of your choice.